Of all the Star Trek series I’ve seen, my favorite is undoubtedly Voyager, a classic example of a show that started with promise and kept getting better as it went. I wavered on whether or not to make a list of my top episodes, unsure if anyone would even care, but after learning of other fans, namely the lovely ladies of Violet’s Veg*n E-Comics, I couldn’t resist any longer. I’ll likely do a favorites list for all my favorite shows at some point. For those who don’t know, Voyager is in the same universe as all the other Star Trek series and is the last to occur chronologically. It’s basically a space-faring version of The Odyssey, with the title ship (and a rebel Maquis ship) being blasted into the Delta Quadrant 70,000 light years from Earth, and the two crews must combine to begin the 75-year journey home, with quite a few adventures along the way. The best part of Voyager is its characters, all of whom feel like a family by the end, from Kate Mulgrew’s first female Trek series Captain Kathryn Janeway to Robert Picardo’s egotistical holographic Doctor (“I’m a doctor, not a tricorder.”) to Ethan Phillips’ ever lovable Talaxian cook Neelix. With its far-flung setting, it also explores planets, aliens, and themes unseen in other Trek series and features some of the best time travel episodes of the franchise. Of course, no series is immune to some duds, and I don’t want anyone’s first exposure to Voyager to be “Threshold” or “The Fight” or “Barge of the Dead.” Thus, for fans and not-yet-fans alike, here are my top twelve episodes of Star Trek: Voyager. I say “not-yet-fans” because I would hope seeing the show at its best would win over any potential viewer. Because Voyager rules! And so the countdown begins…. Oddly enough, the first episode here doesn’t even take place on Voyager. 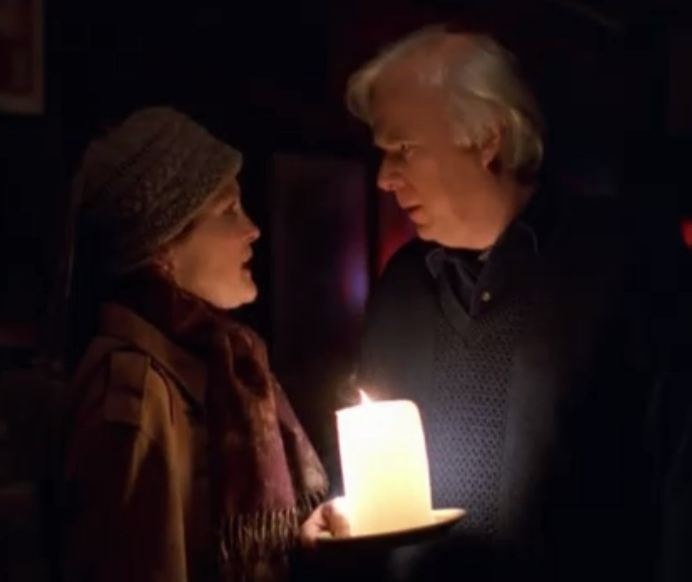 When Captain Janeway recounts the story of one of her forebears, we’re treated to an endearing flashback of her ancestor (also played by Mulgrew) falling in love with a nostalgic bookstore owner (Kevin Tighe of Lost) on New Year’s Eve of 2001. The episodes with Kes (Jennifer Lien) weren’t always the best, despite the uniqueness of a budding telepath with a nine-year lifespan, but “Before and After” was easily her best episode. She begins to live her life backwards, starting as an old woman and trying to figure out what’s happening before she jumps further back in time. Every series likes to have some kind of recap episode for the more nostalgic fans, and “Shattered” again uses time travel for that very purpose. 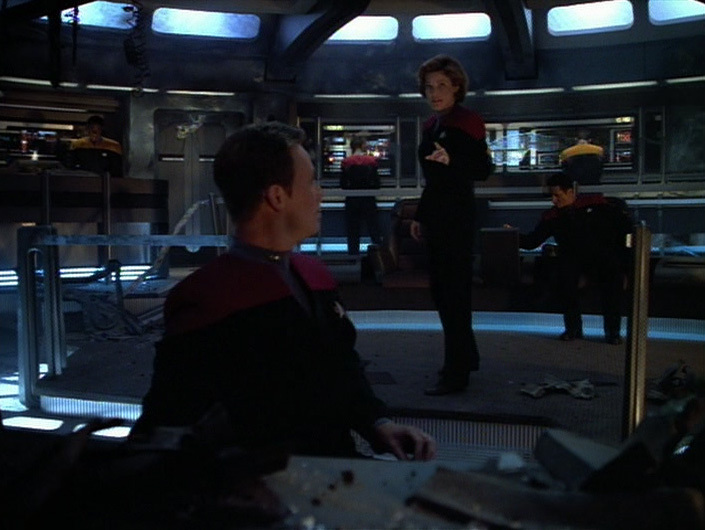 After a warp core accident, first officer Chakotay finds himself the only one unaffected when the ship is broken up into different sections of its own history. Kudos for all the references to past episodes! 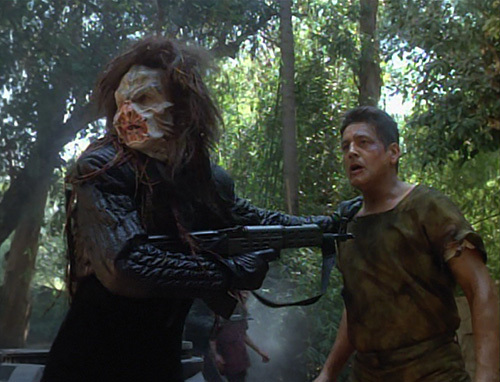 Another Chakotay episode, this time he crash-lands in the middle of an alien war and becomes a pawn in the struggle. There’s a potent message about how both sides of war encourage hate for the enemy, and I love the unique alien vocabulary used (“glimpses” in place of eyes, “trunks” in place of trees). Seriously, this episode should have won an Emmy for its writing. 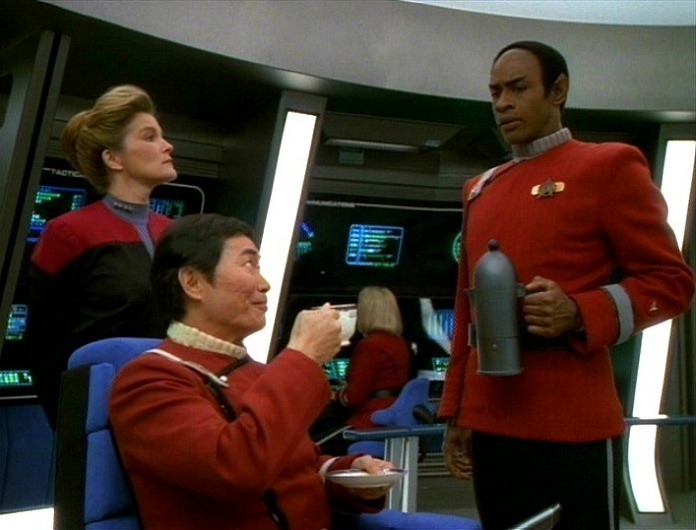 There was always a great odd-couple dynamic between gregarious Neelix and logical Vulcan Tuvok, and the tension finally bubbled to the surface in “Rise,” where they must work together with some disaster survivors to escape a planet’s atmosphere via a literal ground-to-space elevator. The concept alone is cool! Yes, I’m counting two-parters together. Guest-starring John Savage and Titus Welliver (aka “the Man in Black” from Lost), this double-header that segued from season 5 to season 6 provided an excellent contrast between the straight-laced Starfleet ideals of Voyager and the more ruthless tactics of another stranded ship, the Equinox. Ghost-like aliens and an evil Doctor made this a memorable season finale/opener. Fleshing out a future time period seen in “Before and After,” “Year of Hell” pit Voyager against Kurtwood Smith’s Annorax, a man with a time-altering ship trying to erase other species to restore his own people’s former glory. This episode shows Janeway and her crew at their most desperate, proving why she’s such a resilient leader. 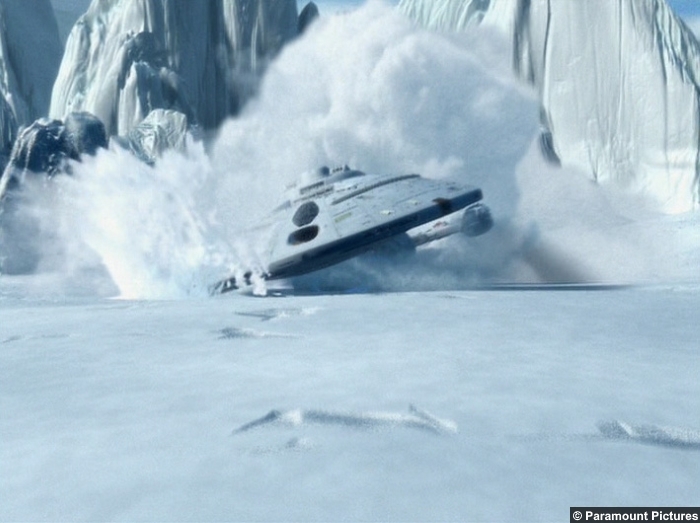 With subtly transcendent themes, “Blink of an Eye” has one of the more unique set-ups for a Trek episode, a planet that revolves so rapidly that years and centuries on its surface pass within hours outside its atmosphere. 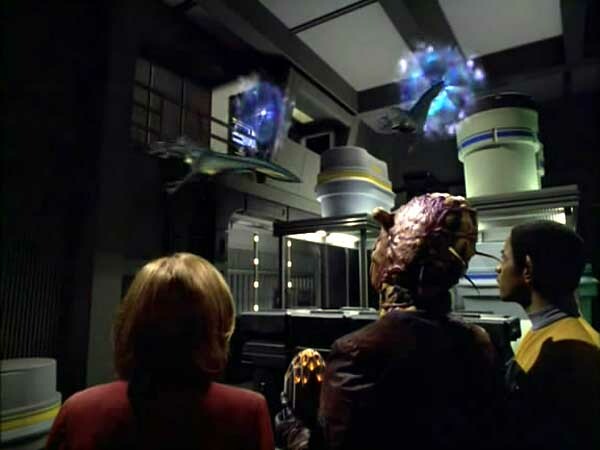 When Voyager is caught in its gravity, the crew watches an entire civilization develop before their eyes, and the viewers get to see a closer perspective from the ground. Lost alert for Daniel Dae Kim as one of the planet’s inhabitants. It’s always a big deal when a series reaches its 100th episode, and Voyager marked the milestone with a fantastic time travel tale. When the ship is destroyed during an attempt to get home sooner, two survivors risk everything to undo the doomed mission. Wow, there sure were a lot of time travel episodes, and all great ones. In this two-parter, a timeship captain from the future tries to destroy Voyager to prevent an eventual disaster, and a mishap sends both ships back to the 21st century. With shades of Star Trek IV: The Voyage Home, it also boasts an unlikely villain in Ed Begley, Jr., and introduces an important plot device for the Doctor that would prove invaluable in future episodes. Oh, and early Sarah Silverman is in it too. While it doesn’t seem to get much attention compared with, say, the two-parters, “Deadlock” is science fiction at its best. When the ship is attacked (which happens a lot, now that I think about it), a spatial anomaly divides the ship in two in a most unique way. To compare it to a classic Next Generation episode, “Scorpion” is Voyager’s “Best of Both Worlds.” With a story set in the Delta Quadrant, it was only a matter of time before their journey ran into the home turf of the Borg. 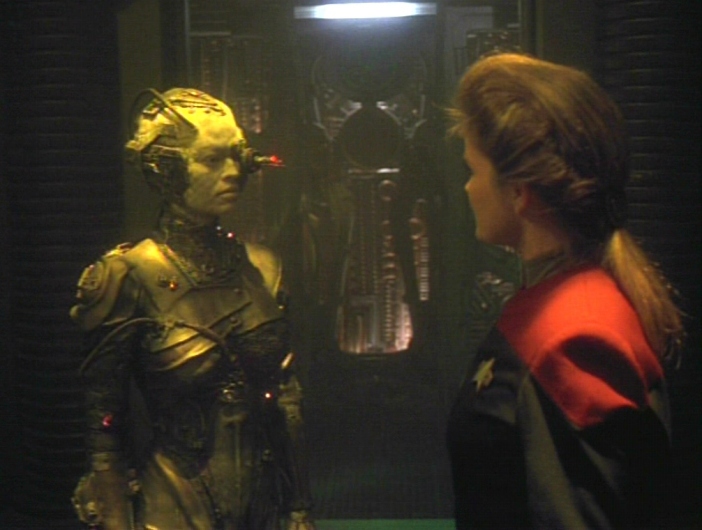 A turning point for the series between seasons three and four, it pits Janeway and company against not only the Borg but a new species unlike any seen before, which threatens even the Borg collective. A tense and rather scary tone, a great new background score, and the introduction of Jeri Ryan’s Seven of Nine make this one of the high points of the series. “Resolutions” – Janeway and Chakotay: what could have been…. “Displaced” – The crew is slowly replaced by aliens. “Scientific Method” – Do you ever feel like a headache is torture? There could be a scary reason why. “The Killing Game, Parts 1 and 2” – A race of hunters brainwash the crew for holographic sport. It’s the only place you’ll see Nazis and Klingons side by side. “Living Witness” – An amazing what-if episode questioning the accuracy of history. 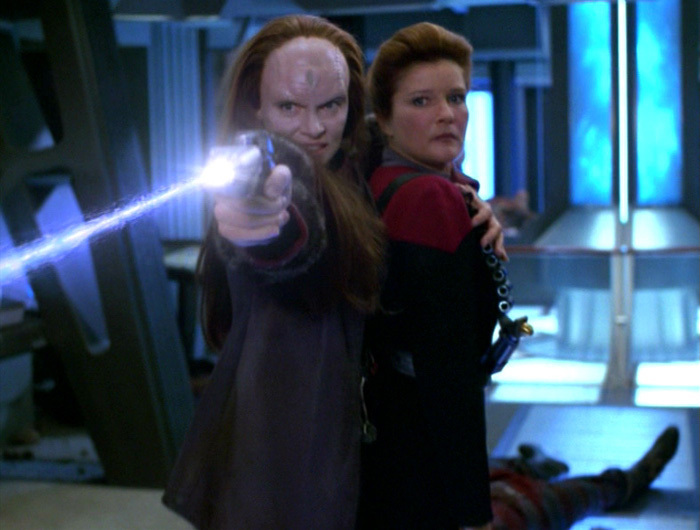 “Night” – Season 5 premiere with Janeway at her most self-doubting. “Macrocosm” – Attack of the giant killer germs! The new movie Life might have drawn some inspiration from this. “Someone to Watch Over Me” – Poor Doctor! “Relativity” – Voyager does it again with an amazing use of time travel. “Riddles” – Tuvok and Neelix bond when Tuvok is mentally impaired. “Fair Haven” – The crew enjoy a holographic Irish village. “Life Line” – The Doctor gets to meet the scientist who designed him after himself. “Unimatrix Zero, Parts 1 and 2” – Season finale and a game-changer for the Borg collective. “Flesh and Blood, Parts 1 and 2” – The Doctor must choose between his crew and renegade holograms. “Workforce, Parts 1 and 2” – The crew is once again brainwashed as workers on an industrial planet. And to wrap it all up, here’s the beautiful opening theme and credits, which I also included in my post of Voyager musical highlights. Now I want to watch this show again! Here, here! They really were the best characters. Ha, now I’ll start thinking of trios as tricorders.